Another month, another Daring Cooks challenge. As soon as I read this one, I knew what I’d be making…a dish that I hadn’t made in a while, one that I could easily call my Jewish pasta e fagioli. It’s homecooking, comfort, and warmth all wrapped into one bowl. Peta, of the blog Peta Eats, was our lovely hostess for the Daring Cook’s September 2011 challenge, “Stock to Soup to Consommé”. We were taught the meaning between the three dishes, how to make a crystal clear Consommé if we so chose to do so, and encouraged to share our own delicious soup recipes! So yeah, I took the easy way out and didn’t make the consomme. It’s been a busy month. I’ll leave it at that. I made use my usual stock recipe, although I added fresh dill instead of my usual parsley. And then, I made matzo balls. (I consulted with a good friend who is Jewish to make sure I was using one of the correct spellings for matzo, by the way…she verified that this way is fine). The consomme wasn’t mandatory for the challenge, but making an accompaniment for the soup…noodles, dumplings, bread, crackers, etc. was. Perfect. Coincidentally, Frank wasn’t feeling well the day I made this. After a big bowl, he got a little pep back in his step. Funny how that happens. This stuff is like magic. This is the perfect recipe to have handy now that flu season is about to begin. Or when you just feel like you’re in the comforts of home. Enjoy! Make stock. While simmering, combine eggs and oil, then add matzo meal and some pepper. Stir until an even consistency is achieved. Place in refrigerator and let chill for about 15 minutes. Wet hands and roll matzo mixture into balls, about an inch thick. Bring stock to a boil and add balls, then reduce to simmer. Cook for about 20 minutes, covered. 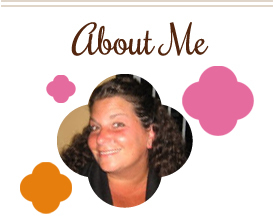 This entry was posted in chicken, Daring Cooks, main dishes, soup. Bookmark the permalink. 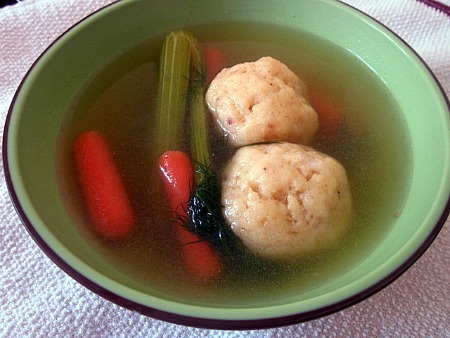 I made chicken soup and matzo balls for the challenge too. Homemade matzo balls — what a revelation! Wow…they look really tempting and yummy..
Yum! Your soups excellent. Good job on this challenge. Great job on this month’s challenge! Your stock looks super, and your matzo balls sound great! So glad you’re inspiring people to make their own matzo balls! They are so much better than the ones from the mix or from the store!